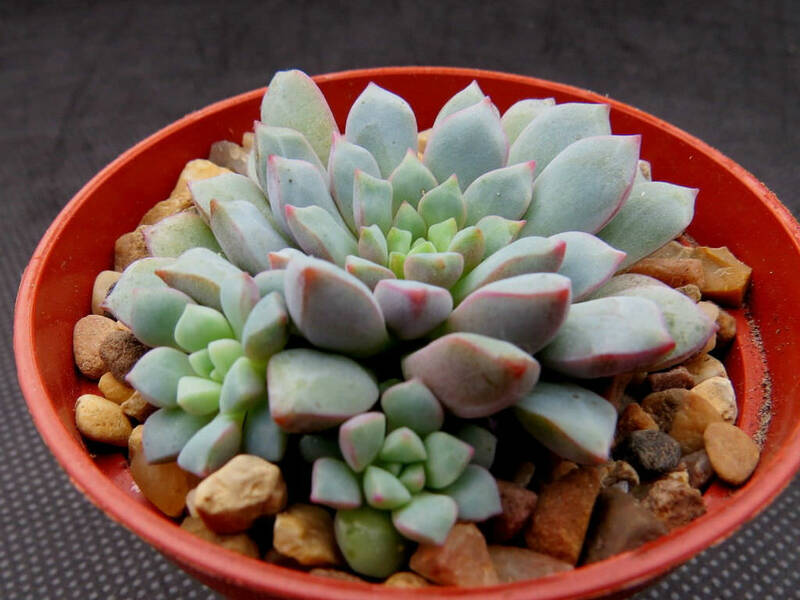 x Cremneria ‘Expatriata’ is a low-growing, perennial succulent up to 4 inches (10 cm) tall. 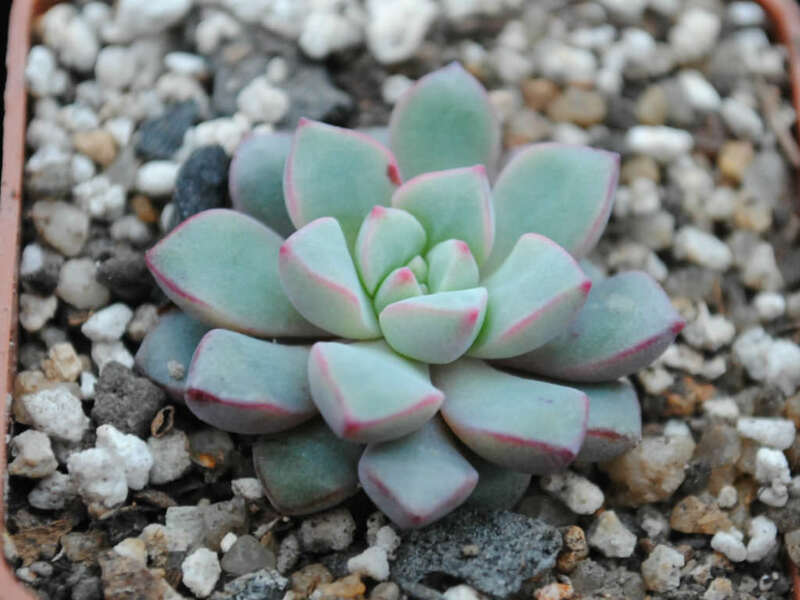 The stem is crowned by a dense rosette of leaves and giving off new rosettes on the naked part below. 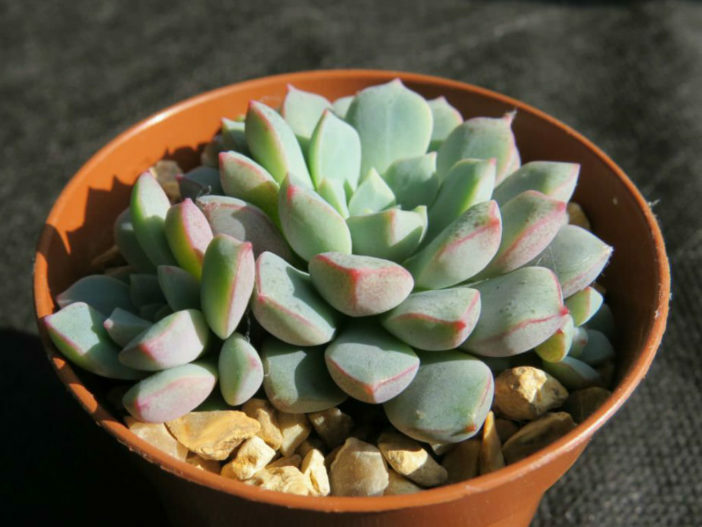 The leaves are glaucous and up to 1 inch (2.5 cm) long. 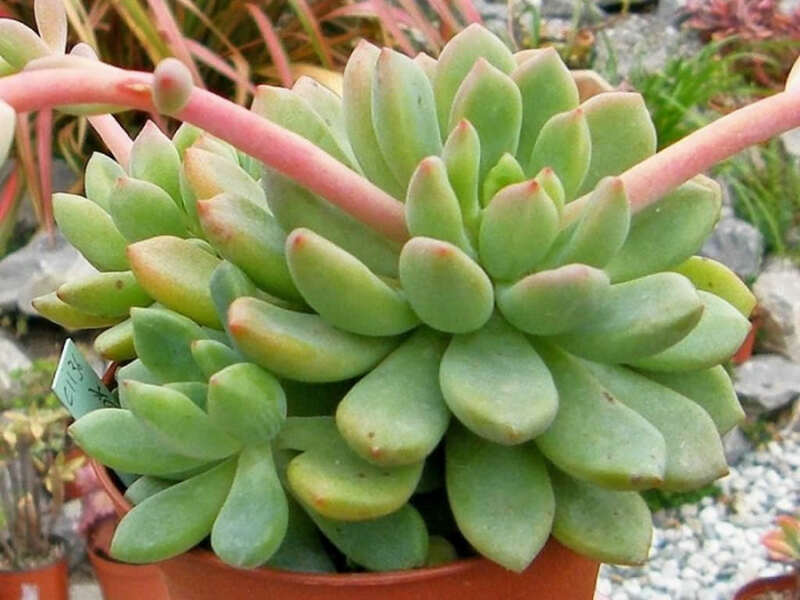 The inflorescence reaches up to 5 inches (12.5 cm) long, bearing pinkish flowers. 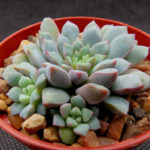 x Cremneria ‘Expatriata’ is a hybrid between Cremnophila linguifolia and Echeveria amoena (formerly known as Echeveria microcalyx). 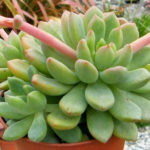 This succulent has generally been treated as a species. 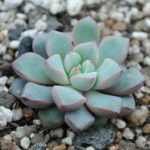 In 1975, Reid Moran published the new hybrid genus x Cremneria for hybrids between Cremnophila and Echeveria and indicated Echeveria expatriata as x Cremneria ‘Expatriata’.